King Naresuan the end of Hong Sa. Similar Iuthheete all be one of the greatest battles in history. However, it is not a final battle that Ayodhya has enjoyed peace for another 200 years, if the start of the town and create a counterweight to the earth. In the year 2135 after losing yuthheete. Department of the Red God vent anger at the loss of his son. Viceroy of Hong Sa Supangkanlaya to her son and daughter until death. It led the victory of King Naresuan avenge his brother, and she stepped to Bago leveled. Department of the Red God when despair, thus allowing Natshinnaung son of the ruler of Toungoo and forcibly took his property and people from Hong Sa TO Toungoo exhausted. When King Naresuan came to town. Bago became a ghost town to the next. This campaign led by King Naresuan need to hit to Toungoo. Despite receiving protests from the Sangha and his wife Mani Monday. To the Department of the Red killing God to do it. The results of War 2 earth would end like it. And Who will prevail this battleground. 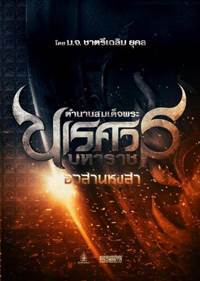 The final battle of the war comrade of Ayotthaya.